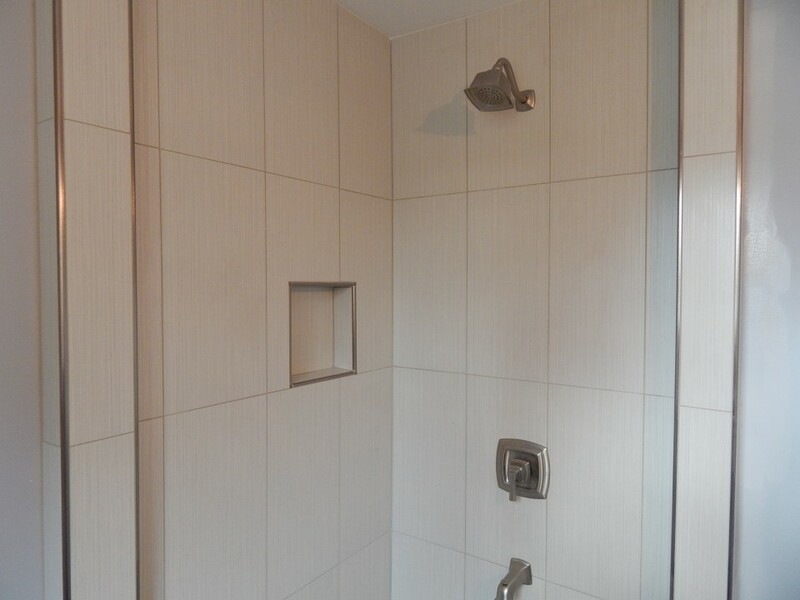 Beautiful corner Shower ready for installation of shower door. Finished pwoduct with Schluter Rondec edge trim. 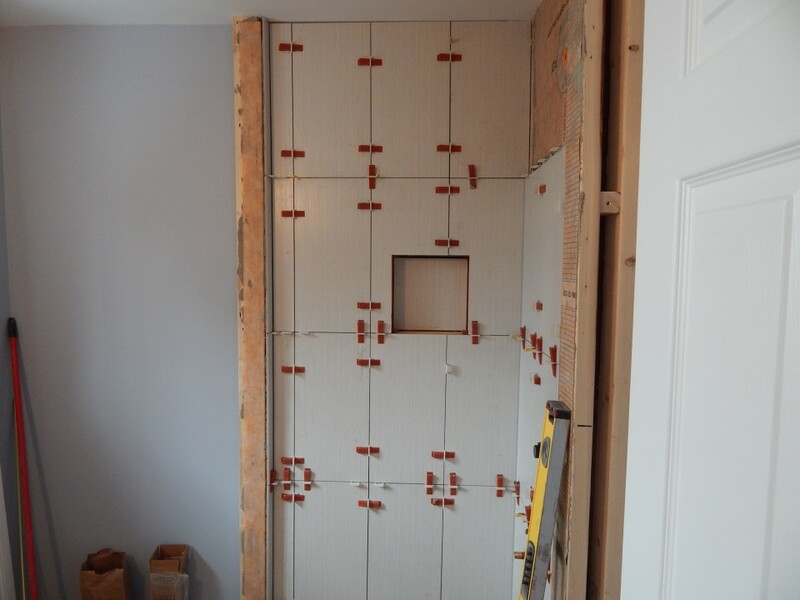 Shower stall ready to be water proofed. 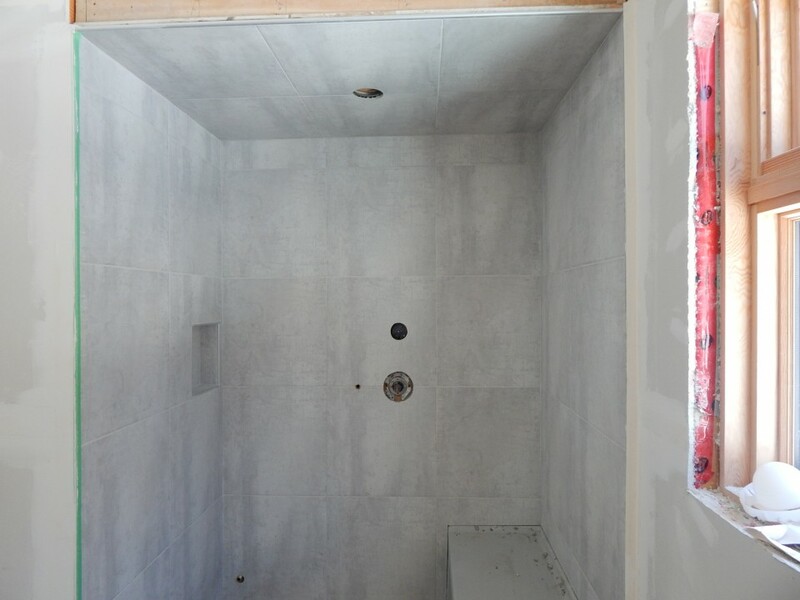 Prefab Schluter Kerdi shower niche. 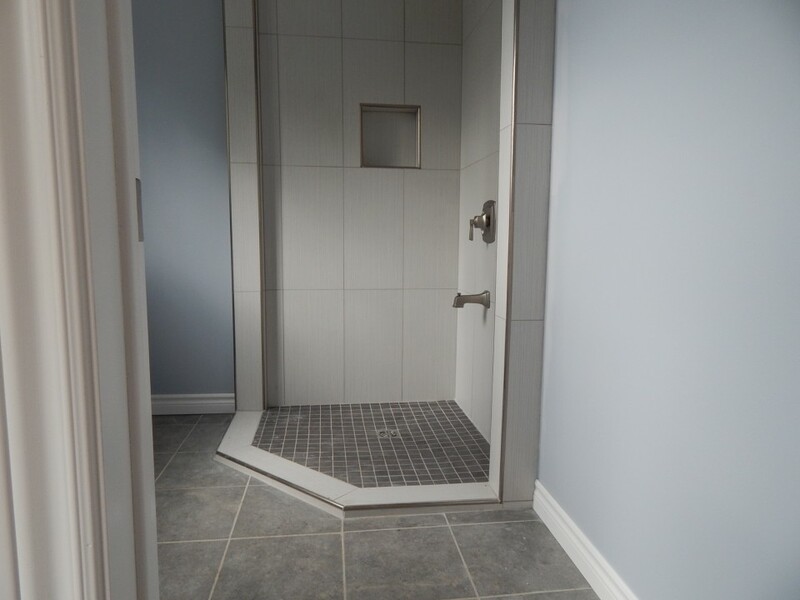 This tiled corner shower was created in a cottage renovation/addition at Abrams Road on Paudash Lake near Bancroft in the Haliburton Highlands. 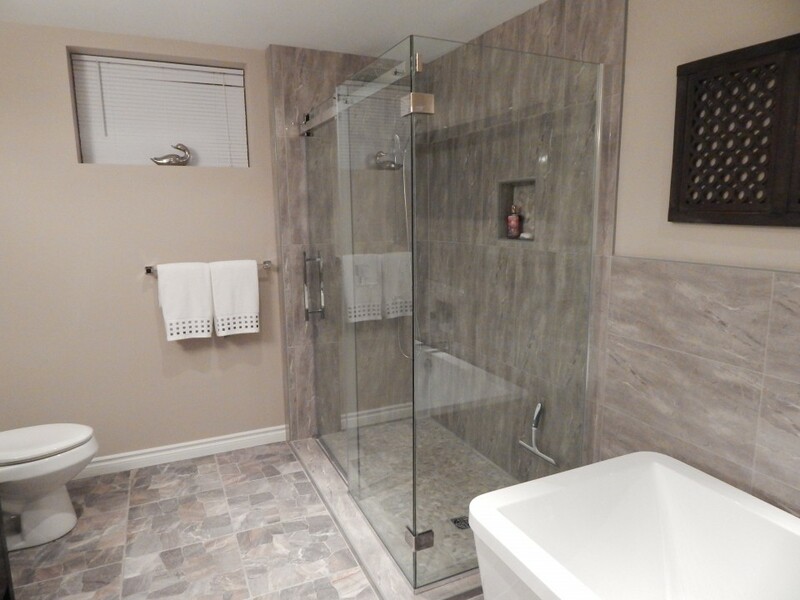 After installing a molded fiber glass unit in the guest bathroom, the owner decided on a tiled shower for the en-suite bath after visiting our web-site with its portfolio of beautiful tiled bathrooms and walk-in showers. 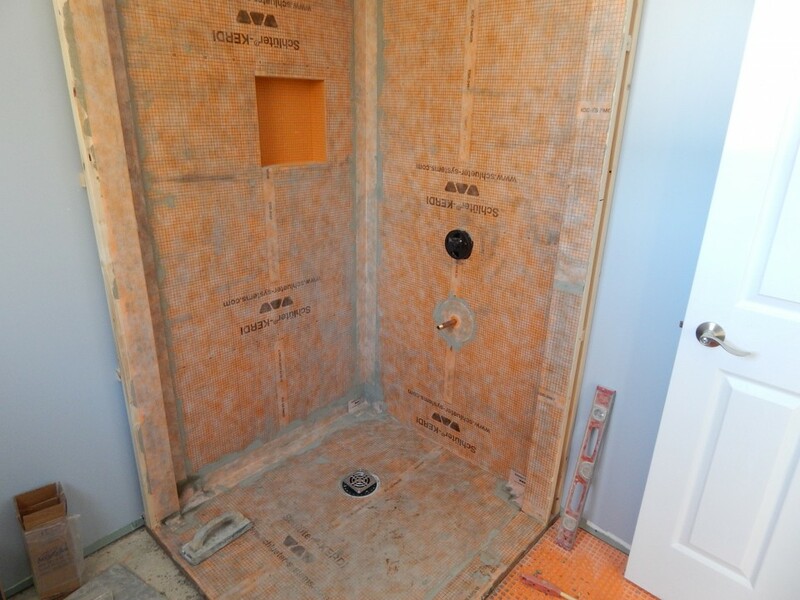 Again no corners were cut and the entire shower stall was water-proofed with Schluter Kerdi cloth. 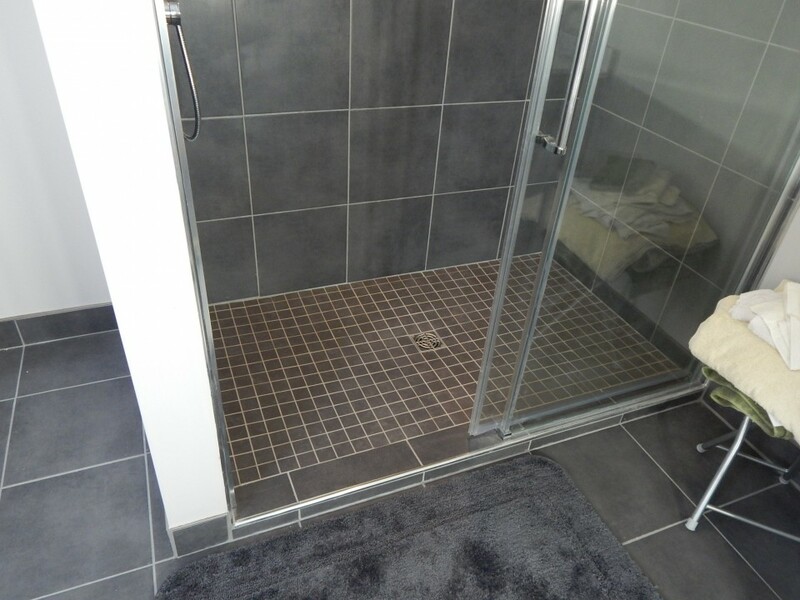 The drain and edge profiles are also Schluter products. For the shower base we constructed a mortar bed since the dimensions did not match those of the standard Schluter Shower Trays. 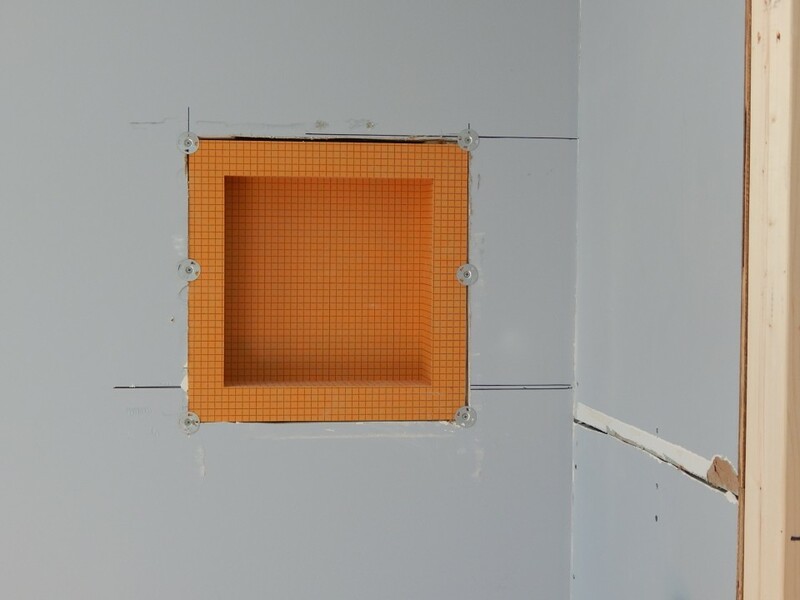 For the shower niche we used a pre-fabricated Schluter 12″ x 12″ shower niche. 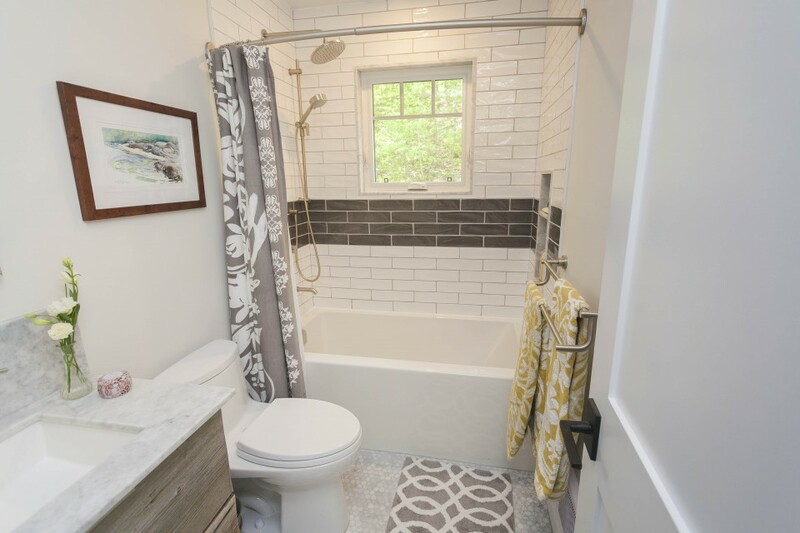 These niches are easy to install when the studs are 16″ on center. 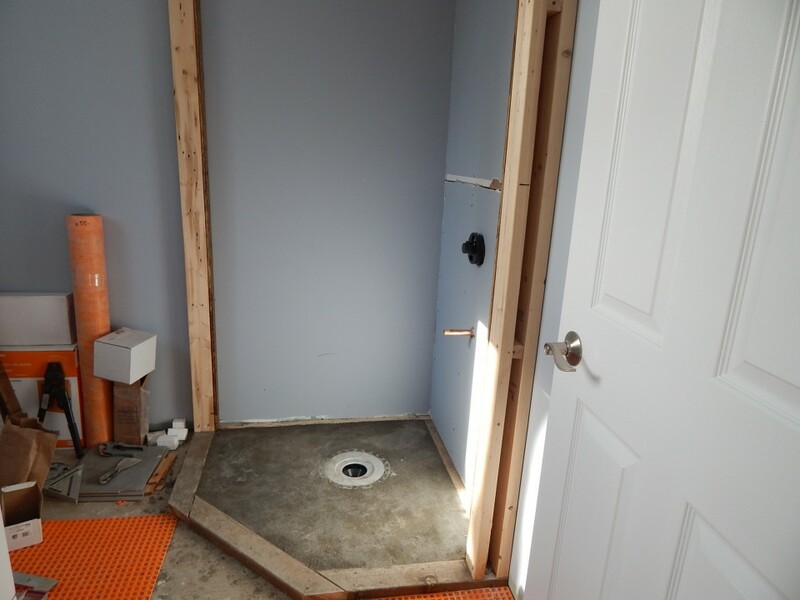 Other sizes than 12″ x 12″ are also available from Schluter. Shower base : 2″ x 2″ porcelaine on 12″ x 12″ matting. Drain: Schluter Drain kit with 4″ stainless steel grate.